Are you new (five years or less) to the field of educational development? 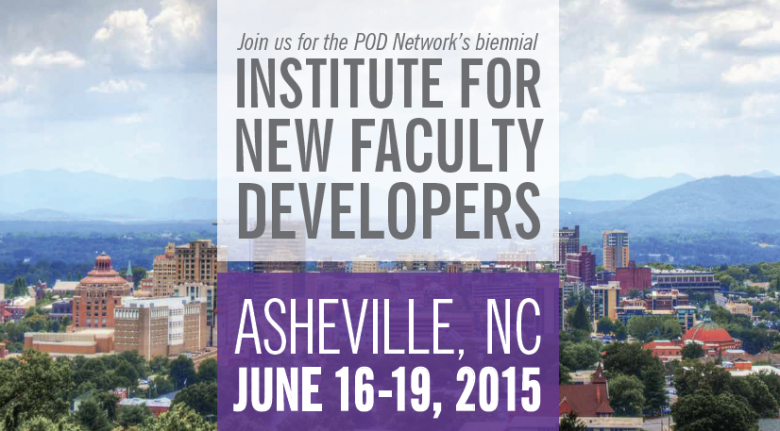 You are invited to join us for the POD Network’s much-anticipated biennial INSTITUTE FOR NEW FACULTY DEVELOPERS. The Institute will be held in ASHEVILLE, NC from June 16-19, 2015 at the Doubletree-Biltmore, located just down the road from the breathtaking Biltmore Estate. Come join us in Asheville to gain an in-depth understanding of the profession of educational development, build confidence in your ability to facilitate development at your own institution, develop networks of people and resources, strengthen your ability to effectively integrate theory, research, and practice, and advance your own sense of professional identity. The Institute promises an innovative mix of whole group sessions, workshops, master classes, and more, all led by leaders in the field, and all designed to facilitate your success. 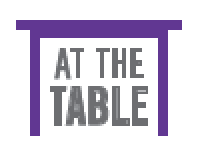 Our theme this year is “At the Table”, with facets of getting to the table (organizational development), being at the table (evidence-based practice), contributing to the conversation around the table (collaboration), and turning the tables (learning-centered pedagogy). Subjects covered include educational development basics, assessment, pedagogy, professional development, scholarship and more. New this year, we have added specific tracks for instructional technology and eTeaching and Learning. To register for the 2015 Institute for New Faculty Developers, click here. For the 2015 INFD Itinerary, click here. To register for Optional Excursions, click here. The 2015 Institute for New Faculty Developers is sponsored by the WNCEDC (Western North Carolina Educational Development Consortium). Active and collegial, the consortium consists of volunteers drawn from all institutions of higher education within the counties of western North Carolina. Participating institutions include Western Carolina University, A-B Tech Community College, UNC-Asheville, Warren Wilson College, Mars Hill College, Southwestern Community College, and Haywood Community College.